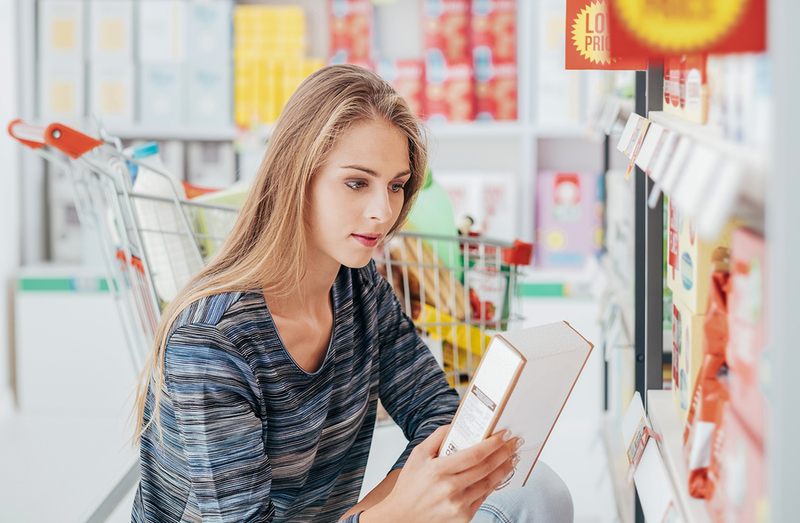 March is National Nutrition Month, which means now is an excellent time to cover an important subject concerning how we nourish ourselves: the mistakes we make which cause us to fall short of our daily nutritional needs. Of course, you may be thinking, “But I already follow a healthy, all-natural diet which includes natural whole foods and a high-quality vitamin supplement-what more do I need?” Well, first of all, you’re on the right track in doing what you need to do to lead a healthy life—keep it up! Proper nourishment involves eating the right foods and taking the right vitamins. However, there are other factors such as timing of intake, types of calories and what you are consuming along with them that can all factor into your body’s nutritional uptake, as well. Once you’re aware of these 5 mistakes most of us don’t realize we are making, you can get even more from your diet for an even healthier you. 1. You take an “all-in-one-chug” approach to fueling in the morning. Okay, so your morning routine includes a nice healthy smoothie, quality vitamins and minerals, your morning coffee, which you chug down one-after-the-other on your way out the door. No, there is nothing wrong with most of this, since a healthy smoothie and vitamins are a great way to get rapidly-absorbed nutrients to start off your day, and the coffee also has a few unique health benefits of its own (when enjoyed in moderation), including antioxidants and other compounds. However, coffee is a diuretic which means that it increases your body’s excretion of fluids. Unfortunately, this also means that water soluble vitamins and minerals such as B-complex, magnesium and potassium, are being depleted rather than absorbed as your body flushes them right on through you! Coffee can also hinder your absorption of other key vitamins and minerals, such as calcium and vitamin D—both of which are essential in maintaining bone strength and density. 2. You assume “sugar-free” means healthy. Yes, eliminating processed sugar is one of the best things you can do for your health, although replacing it with an artificial sweetener may as bad or worse for you than sugar itself. This is because despite having fewer calories and not being made up of simple carbohydrates like sugar, artificial sweeteners can still cause weight gain, bladder cancer, brain tumors and other dangerous conditions. Aspartame is a neurotoxin that destroys brain cells. It is associated with increased incidence of brain tumors, mood disorders, declining mental function, migraines and seizures. There are safe, natural sweeteners you can use such as Stevia and erythritol. You can also satisfy your sweet tooth with fresh fruits and berries, which add digestion-slowing fiber and other key nutrients along with the sweet taste we all love. Plus, this adds seasonal variety to your day to keep things from getting boring! 3. You think that eating whole grains, such as wheat, is good for your health. The American Heart Association states that you should eat a diet of “healthy whole grains,” but grains are actually not good for your heart, nor your gastrointestinal tract or your overall health. Wheat is inflammatory and can be devastating to your health. It can cause digestive issues, inflammation, diarrhea, cramping, bloating, constipation, abdominal pain, acid reflux, heartburn, leaky gut syndrome, ulcerative colitis, gastrointestinal distress and irritable bowel syndrome (IBS). Wheat also causes appetite stimulation, elevated blood sugar (wheat has the ability to convert quickly to blood sugar), glycation that causes disease and aging, inflammation, negative pH effects, eroding of cartilage and bone, joint pain and skin rashes. With Celiac Disease, the gluten protein provokes an immune response that inflames the small intestine, causing incapacitating abdominal cramps and diarrhea. Intestines are not meant to be freely permeable. When various compounds mistakenly gain entry into the bloodstream, one of the undesirable effects is autoimmunity – the body’s immune system is tricked into attacking organs such as the thyroid gland or joint tissue. This can lead to autoimmune diseases such as Hashimoto’s thyroiditis and rheumatoid arthritis. Still think our modern day wheat is nutritious? We thought not. The solution is to completely avoid any product containing gluten, however this is hard to do. Besides most processed foods, gluten can also be found in prescription drugs, cosmetics, shampoos, lipsticks, vitamins, gum, and toothpaste. Always read your labels! As far as what you eat, stick to real food – organic vegetables and fruit, lean meat, nuts and healthy oils such as olive and coconut. By eliminating wheat, you can also increase your energy, have better focus, improve sleep, eliminate skin rashes, decrease arthritis pain, improve asthma and achieve weight loss. 4. You do everything to avoid sun exposure. Yes, skin cancer is a concern in our modern world, although avoiding the sun completely may not be the best way to reduce your risk for cancers and other health problems. This is due to the nutrition fact that your body manufactures its own vitamin D, which is a vitamin essential for such things as calcium absorption, bone density and the prevention of some cancers. However, your body also needs sunlight to produce vitamin D, which means that when you smear on the sunscreen and cover up like a beekeeper, you are risking vitamin D deficiency. 5. You avoid all fats. Sure, we all want to be lean and trim, although the idea that fat makes you fat is an archaic and false notion. This is because it isn’t fat which causes weight gain so much as it is the overconsumption of calories, whether from fat or anywhere else. The calories in fat also take longer for your body to process than the calories in simple carbohydrates, which means you feel fuller longer along with utilizing more energy to break down fats than carbohydrates (another nutrition fact: it takes calories to burn fat!). And, your body needs certain types of fats for such things as healthy brain function (remember, your brain is around 60% fat), hormone production, heart health and skin health, which means getting a good balance of omega 3-6-9’s from your diet. So, rather than looking at the nutrition facts of a product and recoiling in horror over it having some fat in it, look at the kind of fat it is and either avoid it or enjoy it, depending on what you find. Plus, you can get a good supply of healthy omega 3-6-9’s from such tasty sources as avocados, wild-caught salmon and sardines, grass-fed beef or coconut oil. Try enjoying a tin of whole wild-caught sardines in olive oil as a snack, which will not only give you plenty of natural omega 3-6-9 fatty acids, but also a healthy dose of protein, calcium and vitamin D.
And oh yes, they taste great too! Yes, you are doing the right thing by sticking with a natural diet of fresh, multi-colored fruits and vegetables, grass-fed meats, fish and poultry while avoiding processed foods, grains and dairy. However, there are still things you may be doing which are robbing you of the kind of nutrition you need. But, by paying attention to a few simple rules such as not chasing vitamins with coffee, knowing which sweeteners are bad for you, and not being afraid of good, healthy fats, you can live a healthier, more radiant life. This includes lowering your risk for many chronic diseases, an improved sense of well-being and more energy. So, what have you got to lose? Other than a few bad habits, that is! Need help getting your health back on track? Besides healthy nutrition, optimal hormone levels are crucial for good health. Are you experiencing symptoms such as fatigue, difficulty concentrating, unexplained weight gain, trouble sleeping, and just don’t feel like your old self? Take our symptom checker to help identify what could be the underlying cause. Don’t wait – it’s time to get your life back and feel your best! Although I am motivated to go to the gym regularly, I do have difficulty controlling your food intake. What to do?